Over the past several years, prenatal detection of congenital fetal anomalies has become increasingly more frequent, due to the adoption of routine ultrasound imaging. Simultaneously, advanced genetic testing has evolved demonstrating that an increasing proportion of these anomalies have a genetic cause. Approximately ten years ago, chromosomal microarray analysis (CMA) was added to standard karyotyping as a prenatal diagnostic test increasing the detection rate of clinically significant cytogenetic abnormalities by 6% in cases with a single anomaly (abnormality) and 13% when multiple anomalies were present. Meaning, CMA looked at the cell and chromosomal disorders. These prior studies, including a multi-center National Institutes Child Health and Human Development (NICHD)-funded trial presented at a prior Society of Maternal-Fetal Medicine annual meeting, has changed national guidelines so that CMA is now the recommended test for evaluating fetal anomalies. 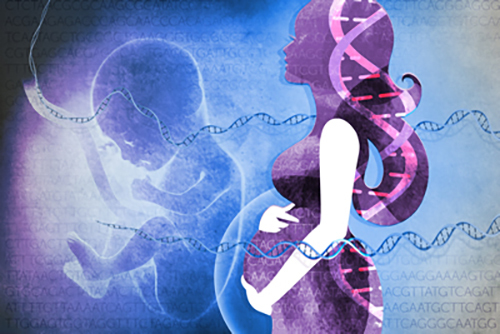 While CMA has been a significant improvement, an estimated 60 to 70 percent of cases with identified fetal abnormalities remain without a genetic diagnosis. With this current study, fetal WES was evaluated as a diagnostic test for women with pregnancies complicated by major fetal congenital anomalies.